I'm really looking forward to this Saturday! I'll be going to Vykulení at Černokostelecký Pivovar. Vykulení is quite similar to Vysmolení, but bigger, with more beers and breweries, including some imported ones (you can see the whole list here) and with a focus on floor malts. 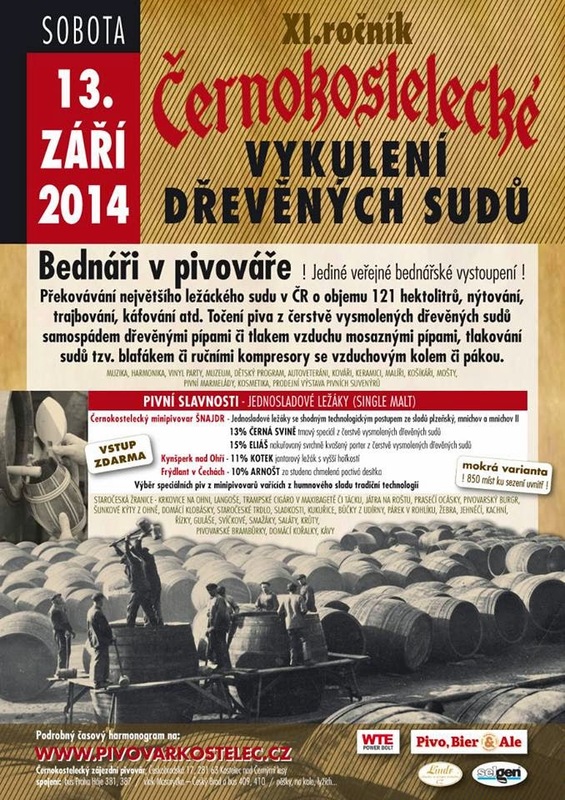 Like at the sibling festival in May, there will be beers drawn from the wood in different ways, but also a few single malt beers brewed by the in-house Černokostelecký minipivovar Šnajdr. It all looks quite interesting, but, more importantly, I'm sure it'll be a lot of fun! PS: As in the previous occasions, I've been invited to spend the night in Kostelec. What a beauty it is to not have to worry about getting back home after a whole day on the piss!